As a mom to a beautiful two and a half year old girl and living and working in Brooklyn, NY, I have been blessed to live with three au pair girls from France. I was six months pregnant when I first searched the Internet to find out what child care options would be available to me after my baby was born. [...] I found out only a handful of au pair agencies existed that were credible. Since I was a Francophile, I naturally leaned towards agencies that included a formidable number of French girls in their portfolio. 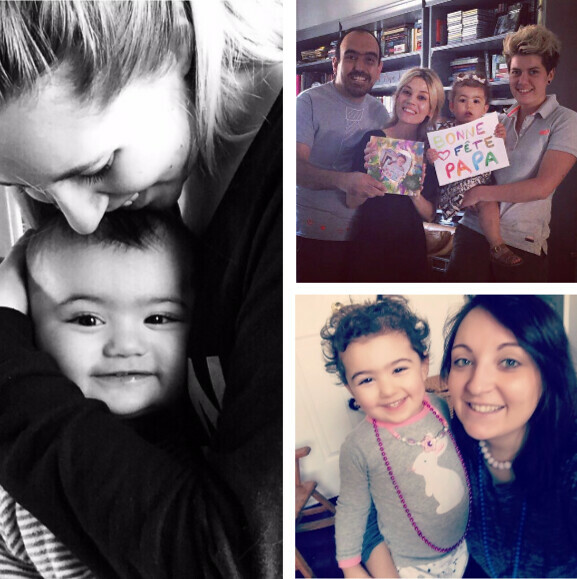 EurAupair was one such agency that was relatively affordable, featured French au pairs, and received good reviews. I immediately put in an application and our au pair journey soon began. Watch EurAupair host mom Karin Goodfriend, host dad Philippe Cooper, and Community Counselor Tracy Adams talk about their experience and what it means to host an au pair with EurAupair on The Morning Blend. CUMMINGS, N.D. -- Looking for an au pair to take care of her two young children while she and her husband were away at work, Sarah Edwards wanted experience, a calm temperament and a philosophy of child care that matched her own. An au pair is a child-care provider from different country who lives in the employer’s home and is subject to government restrictions. The role is similar to that of a nanny, Edwards said, but “I think ‘nanny’ is a broad catch-all term” for hired help that may or may not live with the family. CANADIAN, T.X. -- EurAupair Au Pair Kathrin Rapp with the Cook family.